The 40-year-old made the surprise switch to PSG in the summer from Juventus in order to continue his top-flight career. 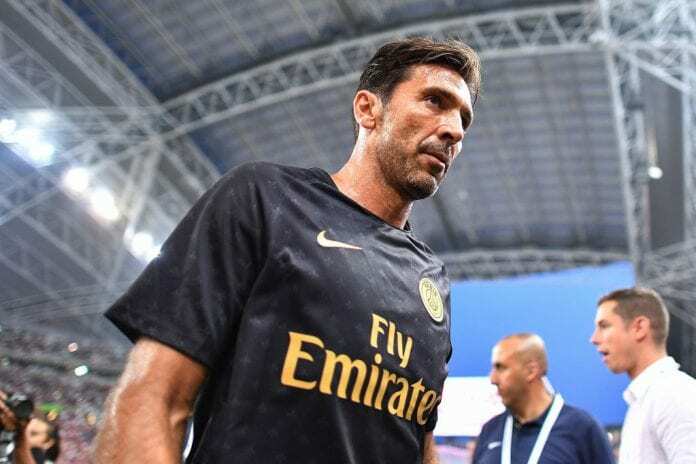 But there have been rumours going about suggesting that Buffon’s main reason for going to France was just for the money with nine of PSG’s players among the Ligue 1’s top 10 earners. The 2006 World Cup winner reportedly earns just under €5m a year at the Parc Des Princes. “There’s always a bit of envy, that’s human too,” Buffon told Corriere della Sera on those rumours. “The first rule is not to be conditioned by the judgements and ideas of others. I will never prostitute my ideals and dreams for money. If I was going to then I’d have done it long before now. “Money is important, it’s a means to live better, but I’m not venal. “They thought I was a madman, or a statue only missing the pigeons. My enthusiasm makes me young though, and if I want to continue I can’t be like an old grandpa. “Sometimes I’m more ‘stupid’ than someone who is 20 and people don’t realise my age. “I’m very proud to be here, because to receive an offer from a club like this is a big satisfaction. Buffon has made 13 appearances for PSG in all competitions this season.